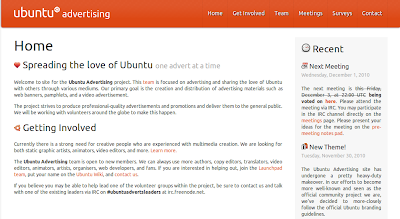 Official Ubuntu Advertising Team is Now Alive and Kicking, Needs Your Support! Official Ubuntu Advertising Team is now alive and kicking. The team is focused on advertising and sharing the love of Ubuntu with others through various mediums. The project strives to produce professional quality advertisements and promotions and deliver them to the general public. And the support of awesome Ubuntu user community is the inevitable part. Ubuntu deserves a lot more publicity. And now there is an official Ubuntu team to do just that. Ubuntu Adverts team is focussed on promoting the goodness of Ubuntu to non technical people aka general public through various mediums like banners, posters, documentation, presentations and videos. "Currently there is a strong need for creative people who are experienced with multimedia creation. We are looking for both static graphic artists, animators, video editors, and more. 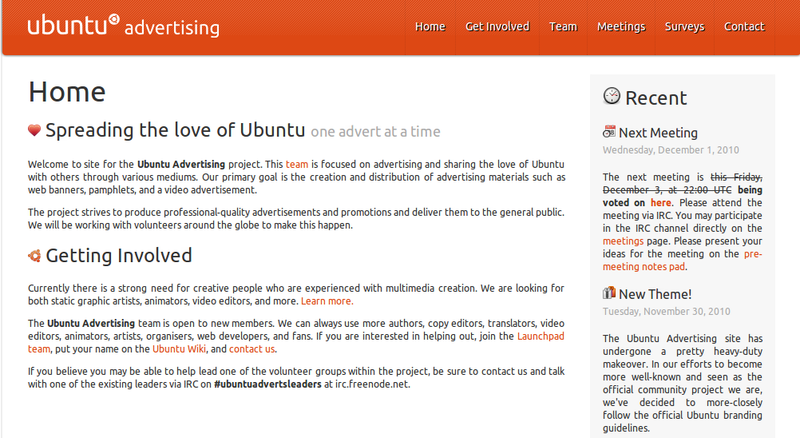 The Ubuntu Advertising team is open to new members. We can always use more authors, copy editors, translators, video editors, animators, artists, organisers, web developers, and fans." And for your inspiration, here are a collection of 5 awesome Ubuntu advertisements mostly done by normal Ubuntu users like you and me. Let's just hope that, Ubuntu Advertising Team is gonna come up with a lot of exciting stuff for us all very soon. Go Ubuntu! Thanks to Danté Ashton of official Ubuntu Advertisement Team for this information and we at Tech Drive-in would like to take this opportunity to wish Danté Ashton and his awesome Ubuntu Adverts team the very best!